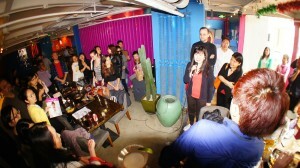 True Run Media holds its March Happy Hour in Q-Mex Bar & Restaurant! 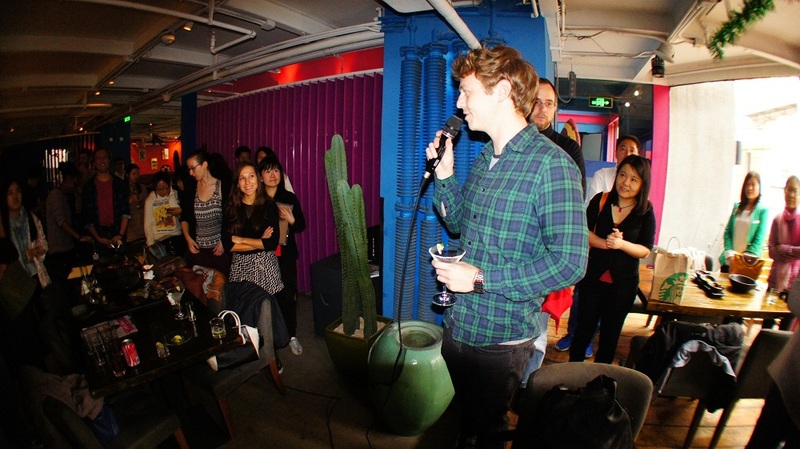 Fancy joining True Run Media? Check out our current openings here. 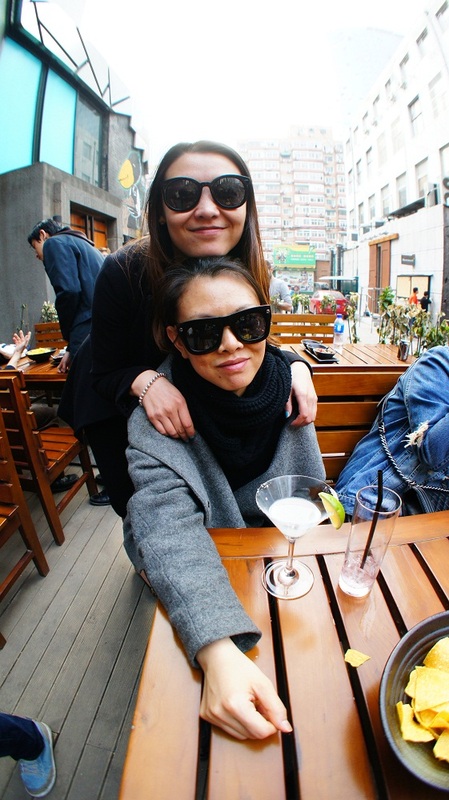 By the time 4 PM clocked in, most of the True Run Media family have arrived at the Happy Hour location in Sanlitun, over at Q-Mex Bar & Restaurant. 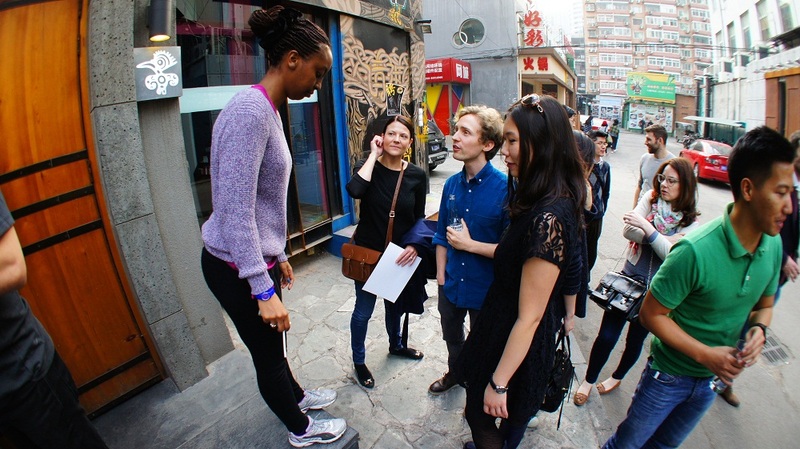 Everyone was eagerly waiting for the participants of the Scavenger Hunt to arrive at the final destination. These participants will also be graduating from the 2-day New Employee Orientation Session (NEOS) program. The past two days were full of learning- and fun-filled activities that introduced them to the history & culture of TRM. This was facilitated by ex-TRM Marketing Manager Skott Taylor’s NewSeed Creative Consulting company. 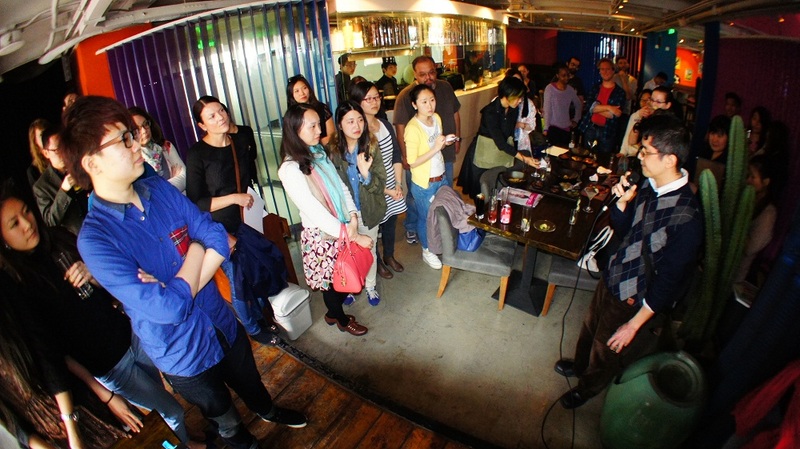 As soon as everyone arrived, the program started with a welcome to new staff – Tom Arnstein (Web Editor, theBeijinger), Sally Wilson (Shunyi Correspondent, beijingkids) and Yvette Ferrari (School Editor, beijingkids). TRM General Manager Mike Wester welcomes everyone to the Happy Hour. Tom Arnstein (Web Editor, theBeijinger) gives out a speech as he is welcomed by the TRM Community. After which, the two staff leaving were also given a chance to thank to everyone who were instrumental to their life in the company. Charles Liu (outgoing Web Editor, theBeijinger) will still be staying in Beijing, while Lia Tjahjodihardjo (Brand Manager, beijingkids) joins the hospitality industry. Outgoing theBeijinger Web Editor Charles Liu gives his farewell speech. 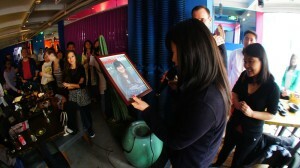 Outgoing beijingkids Brand Manager Lia Tjahjodihardjo gives her farewell speech. 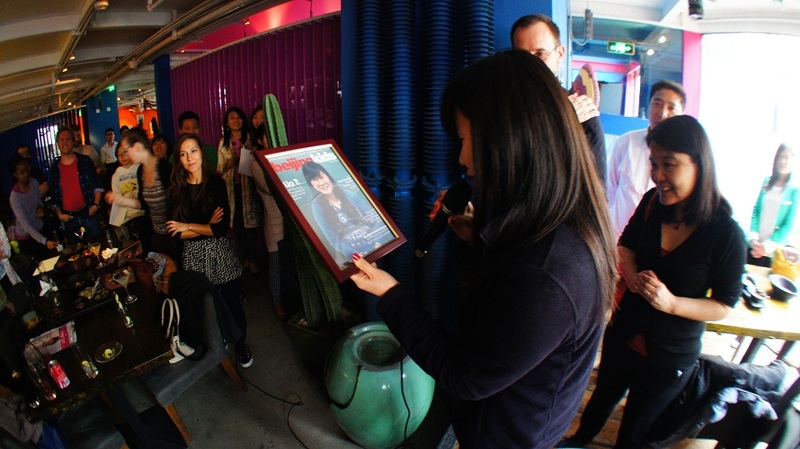 Outgoing beijingkids Brand Manager Lia Tjahjodihardjo reads out the headline text in the beijingkids “cover” specially made for her. 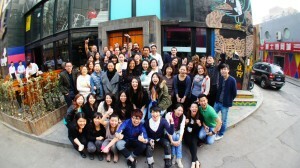 A group photo was then taken outside the venue, with the last set supposedly being a wacky one. 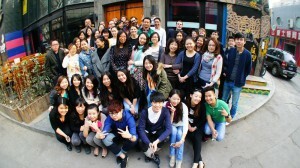 A group photo of the whole of the TRM family. The supposed wacky group shot of TRM. Everyone then proceeded to the True Run Cup competition. This time, everyone competed on bringing in as much toy marbles from one end of a long table to another, with the use of a pair of chopsticks! In the end, the very competitive Red Team ended up taking the prize home. 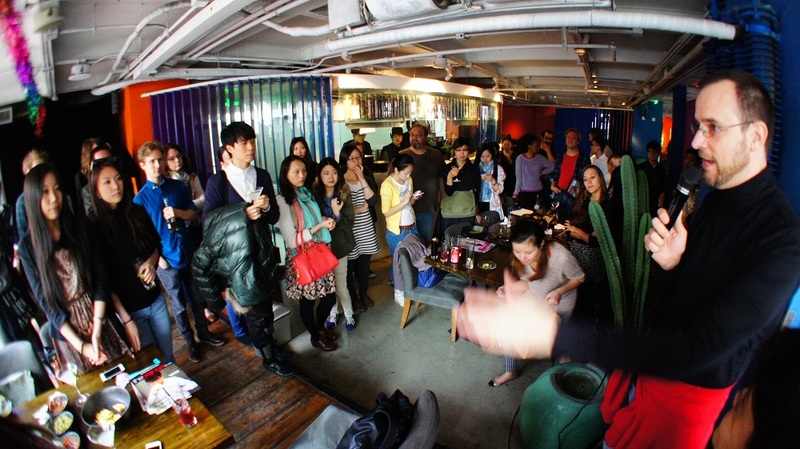 Everyone left the event a bit tipsy, quite full, and very happy! 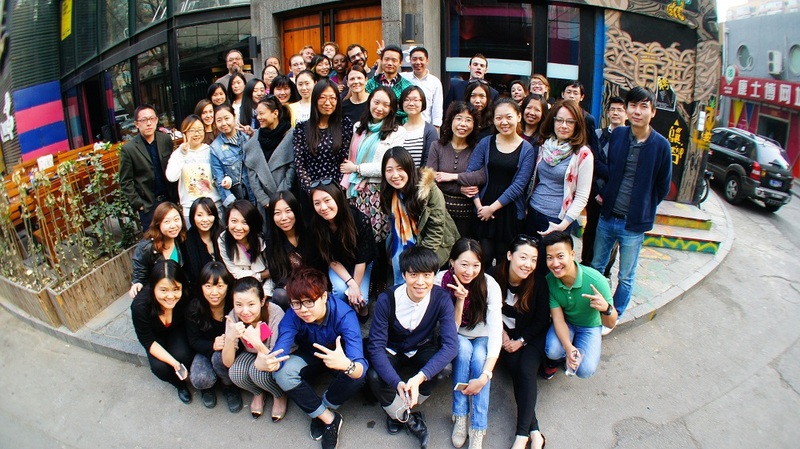 beijingkids team huddles up with NewSeed Creative Consulting facilitator Sam Smith. 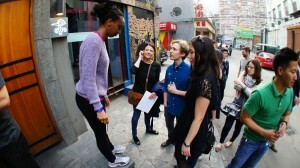 Huddling up are Web Editor Nimo Wanjau, Shunyi Correspondent Sally Wilson and Dining & Lifestyle Editor Clemence Jiang. 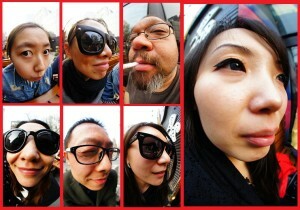 Trying out the fisheye function. Clockwise from top left: Designer Micky Pan, Art Director Susu Luo, Photographer Mitch Masilun, Account Executive Amy Sun, Marketing Executive Jia Liu, Account Executives Winter Liu and Kelly Pan. Account Executive Kelly Pan and Art Director Susu Luo enjoying their cocktails.